Mandas Disney Blog: Summer in Disneyland Paris! Happy Friday everyone! Welcome to the third installment of my Disney Summer Fun series! I'd like to welcome Steve from Dedicated to Dlp! And believe me ... he's dedicated! How do I know? This guy moved his wedding so that he and his wife could have their Honeymoon in Disneyland Paris during the Christmas season! How awesome is that!? lol! Steve is such a wonderful Disney friend and fellow Disneyland Paris fan! I love chatting to him about 'our' park and sharing our Dlp knowledge and experiences! 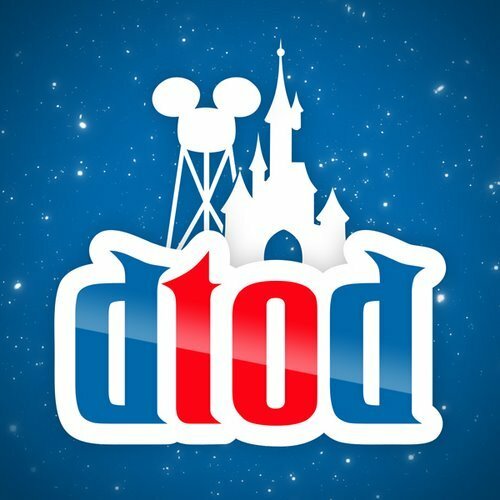 His blog Dedicated to Dlp is just brilliant ... it's so cool to find a blog that focuses on my favourite park! Please be sure to check it out! Steve also features in the latest episode of the Disneyland Paris Newscast (that I absolutely love!) all about favourite rides at Dlp. You can check it out here! But there's more! Steve also has a personal blog called Fabled Thoughts! If you love Bon Jovi I strongly recommend checking out his review of their latest tour! It looks like he had an awesome time! Thank you so much Steve for Guest Blogging here at Mandas Disney Blog! I’m sitting in my seat on the Eurostar, looking out the window as the French countryside whizzes past. I’m lucky to be seated on the right of the train and ahead I can see the sun reflecting off of a big metal structure. It’s is no ordinary building though, as this peaked dome has a tunnel going up the side and I’ve just seen a rocket hurtling through with a bunch of thrilled passengers. 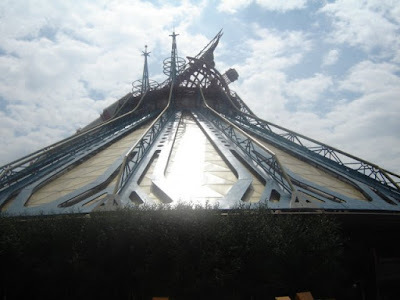 I’m here, the sight of Space Mountain: Mission 2 announces my arrival at the happiest place on Earth – I’m finally back at Disneyland Paris. I’m first off the train and out of the station to be met with a blanket of warmth. 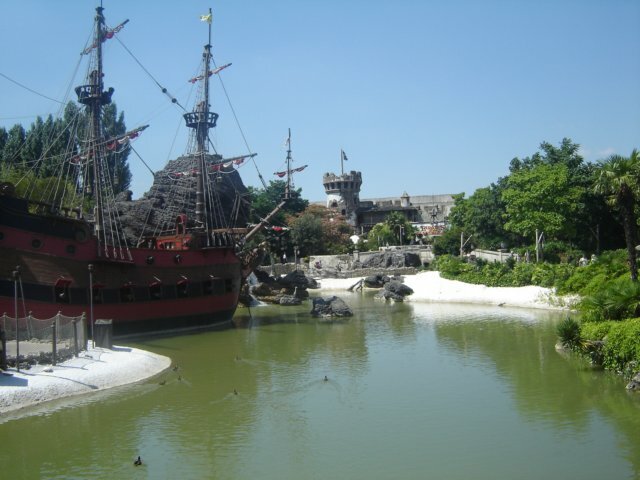 Summer and Disneyland Paris – is there any better combination? As I queue up in the reception of the Cheyenne, my favourite hotel, I’m starting to get hot and restless, but it’s not long until I’m checked in and breakfast is booked. As I walk along the Rio Grande River the fish come up to say hello and my excitement starts to build. I’m half taking notice of what’s going on in Disney Village but I’m also walking as fast as my legs will carry me – Parc Disneyland is my destination and nothing is going to stop me. need to stay hydrated. Goofy’s face adorns my ticket on this visit and on standing for the first time in the resort’s main park, “I’m home”, is what proudly I declare, to anyone who may be listening. A stunning sight at any time, on a summer afternoon Main St USA is a glory to behold as it bathes in sunshine, colour and creativity oozing from every brick and tile. 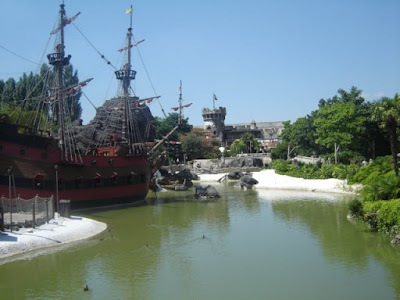 Like the creature of habit I am, it’s off to Pirates of the Caribbean first, and on walking through Adventureland I am transported off to a tropical land with beaches, shipwrecks and exotic taverns. As the afternoon sun starts to beat down it’s I head over to It’s A Small World. There is no better place to cool down than on board one of these boats, as they meander through the continents of the world. One of the highlights of visiting Disneyland Paris in summer is the chance to see Tarzan: The Encounter, a show that has returned to the Chaparral Theatre in Frontierland this year. With pleasure there often comes pain, and in this case it’s the queue which starts early and can see people waiting for an hour, exposed in the hot summer sun. This is where it pays to have refilled my water bottle earlier as I drain it whilst waiting to grab my seat. Once inside the theatre I’m surprised, but delighted at how cool it is, and I get a much needed sit down. The show itself is a wondrous display of dance, gymnastics, emotion and honour. This is a show I hope has returned for the long term as I dream of the day I can take Lucas and let him bash pans with Turk! Summer brings us Tarzan, and that alone is a reason to rejoice. Refreshed from a shower and change of clothes, I’m back in the park and off for dinner at The Blue Lagoon. After a post-grub ride on Pirates of the Caribbean I return outside into the darkness of Adventureland and the later closing times. It can be quite spooky walking through Skull Rock at dusk, but there’s an almost forbidden pleasure about walking round the round Disneyland Park at night that soon gets me over that. With the late nights in the park comes the opportunity to see Fantillusion and the fireworks, two of the greatest offerings Disneyland Paris has to offer. As I stand watching the festival of sounds and colour surrounding Sleeping Beauty’s Castle, I can with all my heart say that summer in Disneyland Paris is the perfect place to be, and I wish I were there right now, don’t you? I do! I do!! lol! 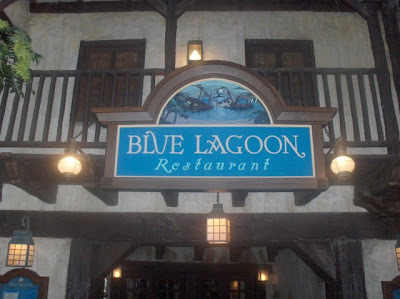 Thank you so much Steve for taking the time to Guest Blog here at Mandas Disney Blog! Please be sure to check out Dedicated to Dlp! Is it wrong to be the first comment on my own blog post? Nobody else has commented and I didn't want it to be the only post with no comments - how sad am I? Well let me be the first to say great post & photos! I felt like I was there. Thank you for the virtual visit! I loved reading the post. I wish I was at DLP right now after reading this. It always feels like home to me too. Sounds like a perfectly beautiful Disney day!